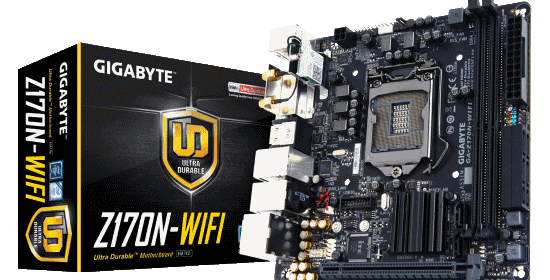 Our review unit of the Gigabyte GA-Z170N-WIFI arrived in a medium sized, brown corrugated cardboard box from the company’s American headquarters in City of Industry, California, USA. It arrived on the same day as the V-MODA Crossfade Wireless and Scythe Ninja 4, both of which was reviewed last week. I will admit, as exciting as a motherboard may be, I was a little bit distracted by the headphones for more than a few hours. Of course, it is not like the two are competing products; the GA-Z170N-WIFI’s built in Bluetooth support goes with the Crossfade Wireless like butter on bread.